Andarine (S4) is one of the first SARMs to have ever emerged. Like all selective androgen receptor modulators, it was initially created for therapeutic purposes. Thanks to its muscle-building properties and minimal side effects though, it is also successfully used as a performance-enhancing drug by bodybuilders and athletes. Andarine (S4) is a compound developed by the GTX Laboratories and researched for its possible therapeutic use in treating benign prostatic hyperplasia, osteoporosis, and a series of muscle-wasting disorders. Clinical trials revealed the compound is effective in treating these conditions and not only. Andarine is capable of increasing muscle mass and bone density while simultaneously reducing body fat, benefits that explain its popularity among athletes and bodybuilders. 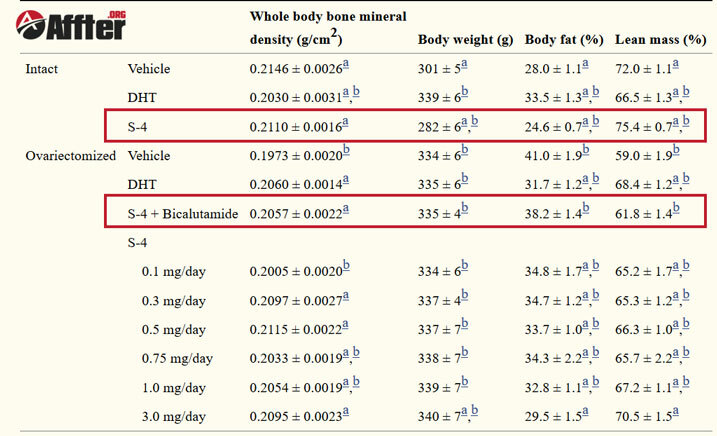 We found that S-4 treatment maintained whole body and trabecular BMD, cortical content, and increased bone strength while decreasing body fat in these animals. Pharm Res. 2007 Feb; 24(2): 328–335. The drug has a selective action on only certain tissues. Among its main benefits is the lack of hepatotoxicity as well as the absence of the annoying side effects of the androgens, including hair loss and hypogonadism. Today, Andarine is one of the top choice performance-enhancing drugs among personal trainers, athletes, bodybuilders, and anyone else who wants to boost their lean body mass. 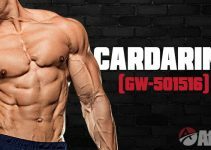 Like all SARMs, the S4 binds to the androgen receptors in muscles and bones and has an action similar to that of testosterone. 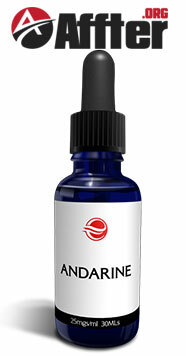 Andarine increases anabolic metabolism, helping the body burn fat while increasing lean mass. Due to its selective action, this performance enhancer has no impact on your endocrine or reproductive system. Another advantage is the excellent oral bioavailability of the compound which can bypass the gastrointestinal system for absorption. Therefore, it will have no impact on your stomach, liver, or intestine. Andarine is one of the most effective performance-enhancing drugs out there, but there are still a few things to weigh in before starting a bulking cycle. Perhaps the most important thing to know is that Andarine is still under research. Nevertheless, it’s one of the few SARMs legally available in the US, so that’s undoubtedly a big plus. It can also increase libido and sperm quality in men. However, the drug may temporarily suppress the production of testosterone during bulking cycles. Andarine is typically used during the bulking phase, although you can take it during the cutting, strength, and recomposing stages too. During bulking cycles of 8 to 12 weeks, it is recommended to take a maximum of 50mg of Andarine per day divided into two or three doses, either alone or associated with 10mg of Testolone a day. First-time users should start with a lower dose of about 25mg and work their way up from there. The same dose is also recommended during the strength cycles, this time associated with 10mg of Ligandrol. During cutting, recomping, or for general wellness, it is recommended a dose of no more than 25mg a day for cycles of up to 12 weeks. You can expect to see the first results within a week, starting with a significant loss of water weight. The first signs of muscle definition begin to show off after about two weeks, and within a month, you’ll look more shredded overall. Obviously, you can expect these results only if you’ll combine Andarine with hard lifting and a clean diet. Regardless of physical activity and diet though, the S4 has notably muscle growing effects than other SARMs thanks to its DHT-like action. Besides increased muscle strength, you can also expect increased bone density. Indeed, the drug prevents bone loss and boosts bone density, which for athletes and bodybuilders means improved overall strength and lower risks of joint fractures. Fat loss is another great advantage of Andarine. This effect is connected to muscle growth, which subsequently reduces fat mass. 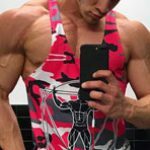 While most SARMs have a similar action, Andarine takes fat loss to the next level by boosting metabolism. Among its many benefits, Andarine can also improve your libido, as well as sperm quality in men. It is impossible to find a drug that comes with no side effects, and despite the many advantages, Andarine has some downsides too. 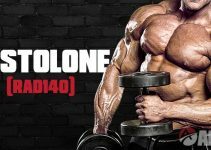 Thanks to its affinity to selective androgen receptors, S4 does not cause hormonal imbalances and has none of the major steroid side effects. However, it may cause temporary suppression of testosterone production, a reason why it’s often advertised as a male contraceptive. Another – and definitely more annoying – side effect is its temporary impact on your vision. Changes can manifest in different ways, including in blurred vision or the difficulty of adjusting your vision from dark to light in a timely fashion. A few users also described seeing a yellowish tinge and the difficulty to differentiate between black and blue color. Most of these changes happen at higher doses and cease as soon as you stop taking the product. Andarine (S4) is an excellent performance-enhancing drug to use either as a standalone product or combined with other SARMs. It can help you achieve remarkable results without the adverse side effects of the steroids. It has a plethora of positive uses, from improving bone density to helping you grow muscle, all of which will help you boost your overall strength and athletic performance. Although it’s not thoroughly researched yet, the drug has no known significant side effects. It is also one of the few SARMs you can source legally in the USA. No doubt, as long as you buy it from reputable companies, we can only recommend it.